Did you know that fifty-seven percent of bullying situations stop when a peer intervenes on behalf of the student being bullied? Peers can reinforce and help bullied students by making their support visible. This is where we need your help. 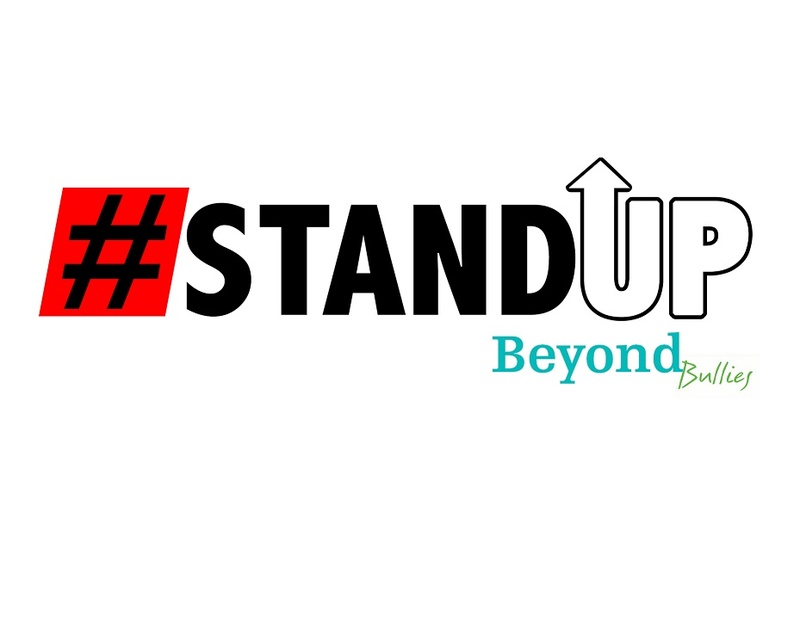 Beyond Bullies is launching a campaign that will help people unite against bullying by having #StandUp written on their body, face or a piece of paper to let people know they are not alone and together we will not put up with bullying or bullies anymore. #StandUp symbolizes people uniting against bullying and ending the silence and alienation bullies want their targets to feel. By standing up, you are not only taking a stand for yourself, you are letting others know that you reject bullying in all forms. Standing up against bullying online or offline is a start. There are many ways to StandUp: making new friends, taking on a new hobby, writing down the bullying incidents when you get bullied or when you witness bullying, not giving bullies the power to hurt you or anyone else by saying something, deleting a message, not going along with the crowd or forming anti-bullying groups at school. When people intervene and show that they care bullying cannot survive. Together we are building a movement. Do the right thing, #StandUp against bullying. Feel free to share a message about how bullying has affected you, what you did to stop it, or just a positive note of encouragement with your selfie. You can also share anonymously on the Beyond Bullies website. You can use the image below on a piece a paper or create your own.